Some people assume that all house gutters are the same. However, as homeowners who have benefited from 31-W Insulation’s seamless gutters can tell, this is definitely not the case. 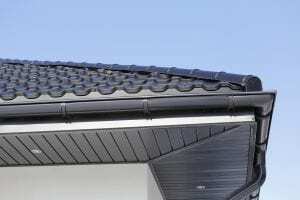 Since 1972, our family-owned company has offered the finest home improvement products available to help customers improve the comfort and functionality of their homes, and our hard-wearing seamless gutters are among our most popular products in Columbus. And, to give you extra confidence in your investment, our gutter systems are covered by a 20-year limited manufacturer’s warranty. For more information about the benefits of outfitting your Columbus home with our seamless house gutters, contact 31-W Insulation today. We will gladly schedule an at-home consultation at your convenience.